MATJAŽ DREVENŠEK (b. 1965), Professor and Vice Dean at the University of Ljubljana Academy of Music, graduated and achieved the Master degree at the University of Zagreb Academy of Music (Croatia) in the class of the legendary Professor Josip Nochta. He has collaborated with eminent musicians and music pedagogues (S. Bichon, V. David, C. Delangle, J.Y. Fourmeau, Ph. Geiss, F. Mancuso, J.D. Michat, N. Prost, Quatuor Diastema (F), A. Bornkamp (NL), M. Weiss, L. Mlekusch (CH), D. Gauthier, D. Gazarov, J. Schulte-Bunert (D), L. Artymiw, F. Bongiorno, P. Epstein, B. Marsalis, S. Mauk, E. Rousseau, D. Richtmeier, K. Tse (USA), I. Bilić, D. Detoni, T. Mužek, M. Prohaska, Papandopulo Quartet (HR), I. Golan (IL), M. Marzi, Quartetto Academia (I), M. Bekavac, I. Grafenauer, M. Lipovšek, Slovenian Brass Quintet, Slowind Quintet, Quartet 4saxess (SLO)...). Matjaž Drevenšek has been soloist with the following orchestras: the Slovenian Philharmonic Orchestra (under the baton of A. Drčar, H. Graf, Th. Guschlbauer, D. Itkin, U. Lajovic, M. Letonja, J. Simonov, E. Villaume), the Maribor Philharmonic (S. Robinson, M. Tarbuk), the Chamber String Orchestra of the Slovenian Philharmonic, the Slovenian Radio Television Symphony Orchestra, Camerata Labacensis, the Slovenian Army Orchestra, the Slovenian Police Orchestra, the Zagreb Philharmonic, the Symphony Orchestra and Big Band of the Croatian Radio Television, the Zagreb Soloists, the Croatian Chamber Orchestra, the Symphony Wind Orchestra of the Croatian Army, the Orchestra of the French Republican Guard, the Hong Kong Festival Wind Orchestra, the Emory Wind Ensemble, the University of Minnesota Wind Ensemble, and the Royal Northern College Of Music Wind Orchestra. He is a founding member of the Soloists Chamber Orchestra of the Society of Slovene Composers (KOS), the solo saxophonist in the Slovenian Philharmonic Orchestra, and an artistic co-director of S.O.S. Saxophone Orchestra. He has premiered works of numerous composers, such as B. Bjelinski, D. Božič, D. Detoni, S. Foretić, S. Glojnarić, J. and R. Golob, J. Gregorc, N. Hall, S. Horvat, O. Jelaska, J. Kalčič, A. Klobučar, I. Krivokapič, M. Lazar, B. Lazarin, W. Liebhart, J. Matičič, P. Merkù, B. Papandopulo, I. Petrić, M. Prohaska, M. Ptaszyńska, R. Radica, P. Ramovš, M. Ruždjak, P. Šavli, P. Šivic, I. Štuhec, M. Tarbuk, T. Uhlik, a.m.o. 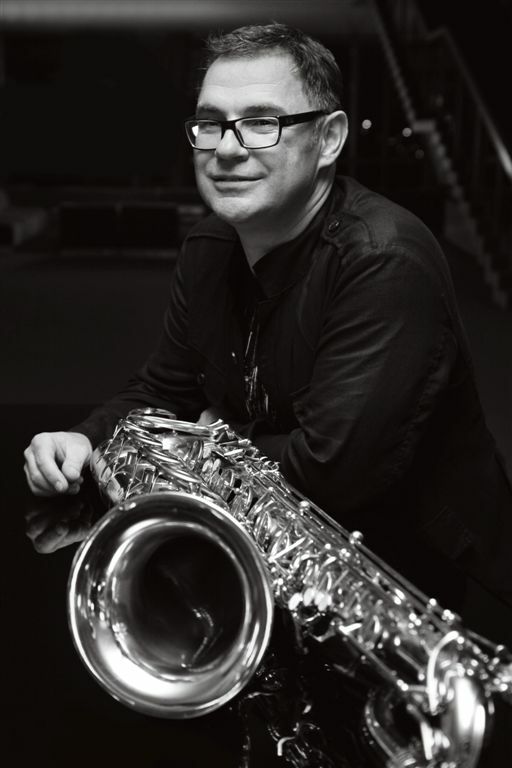 Matjaž Drevenšek has taken part in 19 discography editions, the most important among them being Croatian Saxophone Music, Z Quartet, Cascades, Tsunagari, Ruben Radica: A Selection of Works, Contemporary Croatian Composers - Srđan Dedić, sax+ - ZSQ & Itamar Golan - Quintets (all with the Zagreb Saxophone Quartet, which have won 8 discography Porin Awards), and Duo – Matjaž Drevenšek, alto saxophone & Zoltan Peter, piano. He is a winner of various prizes in the field of art, music and education (Škerjanc Award, the Plaque of the Ljubljana Borough, Milka Trnina Award, the Croatian Musical Institute Award, the Nada Popović-Bukovinac Foundation Prize, the Vatroslav Lisinski Award, etc.). Matjaž Drevenšek has led a number of summer schools and master-classes in Europe, Hong Kong and USA (Hic Faros, Hic Ars on the island of Hvar, the Musical Summer in Podsreda Castle, Alps – Adriatic – Danube in Krško, the Hong Kong International Saxophone Symposium, the International Wind Instruments Workshop Szczecinek, OrkesterkamP Portorož, master-class at Conservatorium van Amserdam, master-classes all over the USA, etc. ); apart from being artistic director of the International Saxophone Meetings and International Saxophone Competition in Nova Gorica (Sovenia), he is also a former president of the Saksofonija Music Society, which was organizing the 14th World Saxophone Congress in Ljubljana (Slovenia) in 2006. From 2002 to 2006 he was a president of the Jeunesses Musicales Slovenia. He has been member of the juries at domestic and international competitions of young musicians (Bayreuth - D, Belgrade - SRB, Graz - A, Krško - SLO, Limoges - F, Nichelino/Torino - I, Nova Gorica - SLO, Požarevac - SRB, Riga - LVA, Szczecinek - PL, Zagreb - HR).